Edith Wharton had popularly quoted, ‘Set wide the window. Let me drink the day’. The windows in any property have a lot to say and feel. They are the focal point of any home and add a great aesthetic appeal. Whether you are simply intending to enjoy the view across, having guests for a get-together, selling your home or renovating – considering routine cleanliness for your windows can make your entire home sparkle. 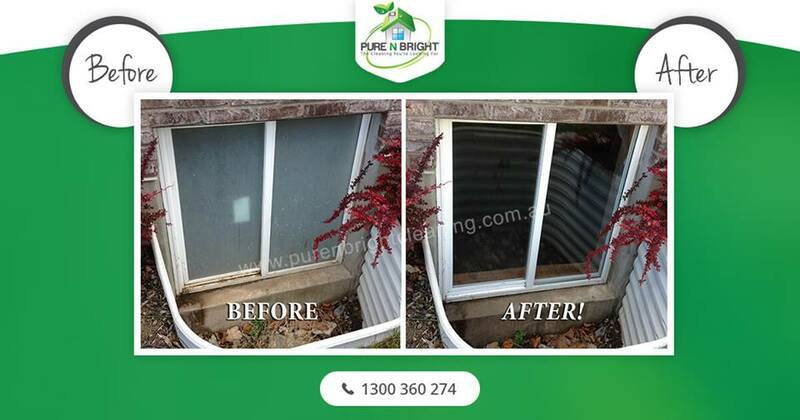 At Pure N Bright Cleaning, we specialise in professional window cleaning service across Melbourne. Our expertise includes a wide range of residential, commercial and high rise windows cleaning services. In this blog, we highlight important factors to maintain the windows of your home. USE THE TWO MICROFIBRE CLOTH METHOD: Use one to wipe the windows with a cleaner and the other to wipe off the cleaner. AVOID HARSH CHEMICALS: The window cleaning chemicals available in the market add a positive static charge to the window glass, attracting more dust. Moreover, all they do is to push the dust around on the window glass. DO PRACTICE PROPER SAFETY AND EQUIPMENT: Window cleaning often involves accessing hard to reach places. A lot of care needs to be taken to avoid fatal falls. Moreover, using wrong equipment can only make things worse for you and the windows. AVOID USING NEWSPAPER TO CLEAN THE WINDOWS: Most of us use newspapers or tissues to make the windows sparkle, but it is important to understand that using this method means the paper can’t be recycled. Use more effective and eco-grade methods to clean the windows. DON’T IGNORE HARD WATER STAINS: Hard water is known for depositing minerals on the glass surfaces, leaving unpleasant and stubborn marks. Avoid using razor-sharp objects to remove these stains as these require more efficient tools. Moreover, hiring a professional window cleaning team can be the best decision you can make in this situation. For a better result and long-lasting effect, don’t experiment with your windows. Instead, call our professional window cleaners for a better view across and great looking windows. Our professionals at Pure N Bright has all the expertise for all range of windows in Melbourne. 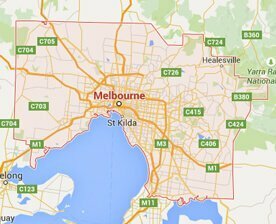 Call us at 1300 360 274 for further information and free quotes. Warning: We always highly recommend to get it done by the professionals as doing by your own it might damage your Window.